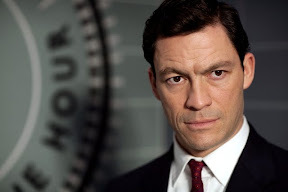 An imported BBC work of sudsy miniseries sophistication, The Hour plays like a Mad Men spinoff as penned by mile-a-minute screenwriter Aaron Sorkin and go-to English lit adapter Andrew Davies. Destined to attract devotees of Don Draper suffering from Men in the gray flannel suited concrete jungle withdrawal along with those who were disappointed when Sorkin’s short-lived SNL behind-the-scenes NBC series Studio 60 on the Sunset Strip was canceled -- BBC pulled out all the stops with a stellar Blu-ray transfer of their acclaimed summertime smash. 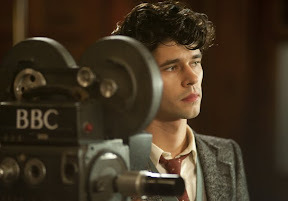 In fact, despite The Hour’s impressive IQ as high quality '00s television about high quality ‘50s television, polish and perfection is so prevalent throughout that at times it keeps us at arm’s length, coming off cooler than museum air-conditioning at with its mechanical precision as an impeccably crafted yet predictably safe work of highbrow diversion. Filled with the requisite number of big moments and stagey speeches you can set your watch by, as the series continues it becomes easier to anticipate the “For Your Consideration” moments sure to net its exceptional cast award consideration in the 2012 season. 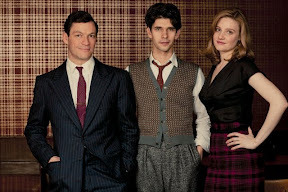 Nonetheless, because the major turns of events and soapbox soliloquies are enlivened by the presence of the vivacious Romola Garai – refreshingly given the chance to play a real flesh and blood woman instead of a girl – and Bright Star's Ben Whishaw in his most fully realized and complex turn since Brideshead Revisited, The Hour is elevated to must-see status even before the convoluted plotline begins to click together. 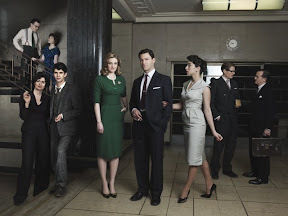 Although they deal with conflicts of interest on a daily basis, the show-runners of BBC’s 1956 news magazine program “The Hour” find themselves thrust into a web of conspiracy, crime, and deceit on an international level when what on the surface appears to be a simple case of murder involves the upper echelons of British intelligence, dirty little governmental secrets and foreign policy. And the six-part series is at its best when embracing its inner Grisham movie feel of big brother paranoia in the Manchurian Candidate era rather than settling in for the claustrophobic chatter of a cross between Good Night and Good Luck and All the President’s Men. Once The Hour realizes that its okay to give its brain a slight rest, it successfully gets our blood pumping --injecting the drama with (albeit) intellectual action -- stimulating our adrenaline as well as our gray matter with thrilling revelations and exciting turns of events that make the second half of screenwriter Abi Morgan’s 344 minute endeavor far more engrossing than the first. 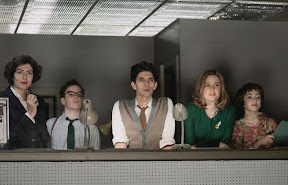 An easy homerun for the period production friendly network, as expected The Hour boasts superlative art direction, costuming and technical values. 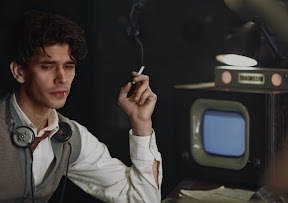 But because of the BBC reputation and the topical, thematic and historic company the miniseries keeps among other channel masterpieces including State of Play, it’s an altogether impressive if slightly underwhelming offering. However, given the incredible momentum that builds as the plotlines collide with new supporting characters and true motives are revealed, there’s enough promise evidenced in The Hour’s phenomenal last act for us to add the recently announced commission of a second series to our list of hotly anticipated 2012-2013 television events... alongside the return of Don Draper, of course.